Debu has a degree in Mechanical Engineering from IIT Kanpur and an MBA in Marketing from IIM Kolkata. He was initially with Hindustan Unilever for 14 years. Debu has handled both North and South Zone for Sales. In Marketing, he has handled brands like Lux, Rexona, Sunsilk and Pears. After Unilever, Debu moved on to CEO roles in Benckiser, RPG Group and ICI Paints. At RPG, he was President for RPG Cellular in Madhya Pradesh and later President for the International business for Saregama, the most well established company for Indian music. Debu then spent 7 years with Hemas, Sri Lanka as Managing Director for their FMCG Business. Debu served on the Hemas Main Board as a non-executive director till 2012. He was also Chairman of the Board of United Villages Networks (P) Ltd. After returning to India, Debu was the Managing Director for Bajaj Corp before setting up YFactor along with Shashi Kalathil in 2009. 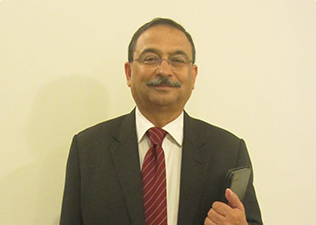 Debu Bhatnagar is based in Delhi and is the Managing Director of YFactor. Copyright © 2014. YFACTOR | All Rights Reserved.